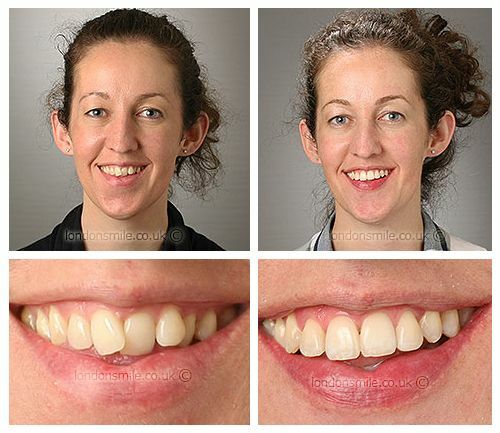 This patient was self-conscious with her smile. I was self-conscious smiling and having pictures taken. I wanted to have a more relaxed smile, showing straight teeth. A combination of lingual fixed braces (Incognito) on my top teeth and ceramic braces on the bottom. I was uncomfortable at times as my teeth moved, it never lasted long though and I always took this as a sign the braces were working. It has exceeded my expectations, my teeth are straight and my gums more rounded to give a nicer smile. Its better than I thought it would be. It’s given me much more confidence. Greatly. They were always very relaxed, confident and friendly. It was nice to come here even if the visit was for an extraction!